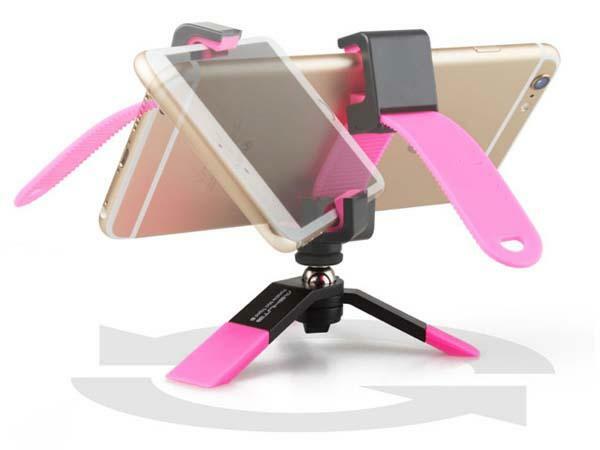 Need a sturdy kickstand to hold your iPhone 6 for amazing time lapse video? 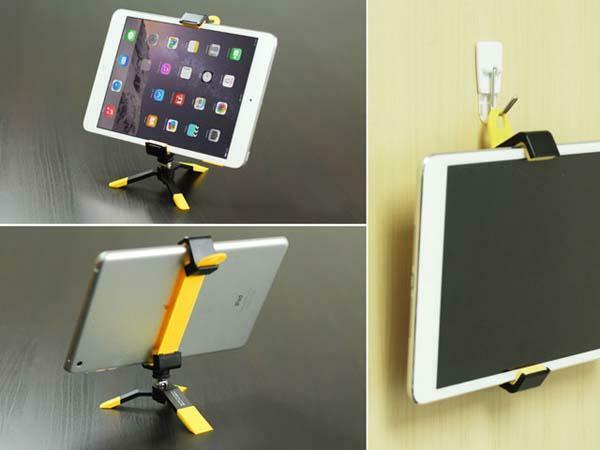 Take a look at Mini Tripod Y, the portable phone stand may be a nice solution. 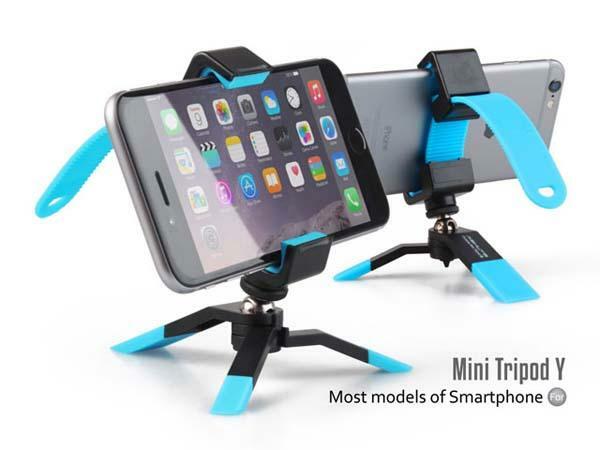 The mini tripod Y is a practical and portable phone stand that works with various smartphones and tablets up to 17cm width. As shown in the images, the stand sports an ultra compact design along with multiple optional colors, and its mini tripod is foldable for easy to carry. 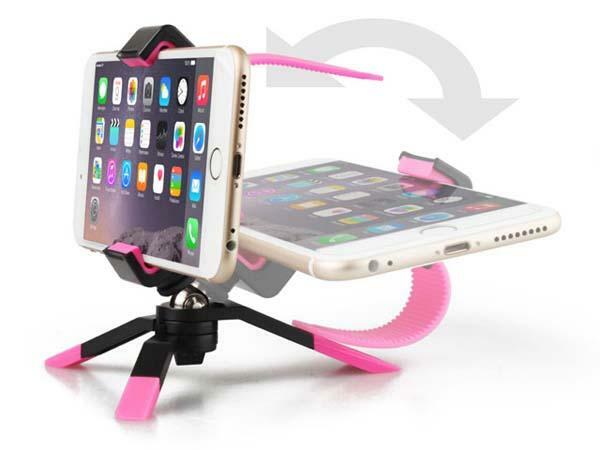 Most importantly, using a detachable and adjustable clasp, the universal stand can firmly grip your smartphone or tablet in landscape viewing mode, while the mini tripod keeps your device sturdily stand on a flat surface for entertaining or making time lapse and stop motion videos. Moreover, the metal joint allows you to easily adjustable the angle for an optimal perspective. The Mini Tripod Y phone stand cones in four colors and is priced at $19 USD. If you’re interested, jump to Brando online store for more details.